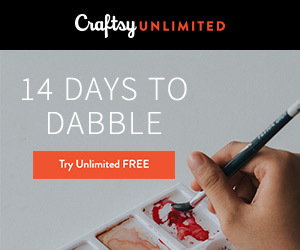 I am loving the chance to really get my hands on a paintbrush and just play with color! 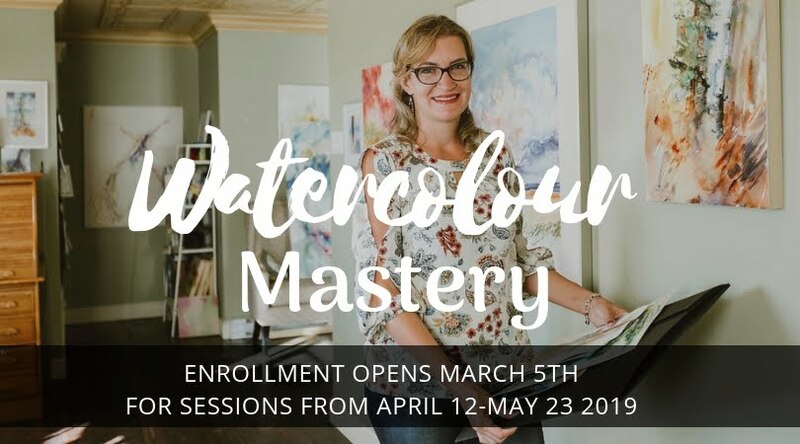 Color brings me joy to a gloomy Iowa afternoon, So I choose to focus on the joy of creating and painting! I thought This is a great season to focus on Love cards, I made these cards very open-ended so I have a valentines day card or a wedding card, or a thinking of you, or even a thank you, I had my dear friends in mind when I was creating these wonderful cards! This card was using the Fragrant floral stamp set by Penny Black, I heat embossed the flower stamp 4 times, it was worth it! Watercolored the flowers with a simple wash over the flowers, then later I glazed the flowers to give it more definition. 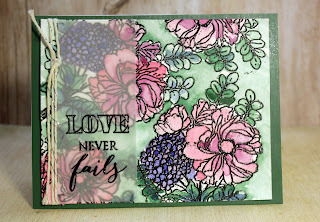 I stamped Love never fails from Penny Black's faith stamp set onto vellum added some twine and called it good. 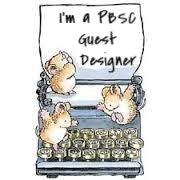 It was a fun card to create! Worth the effort of stamping the flowers 4 times I think! 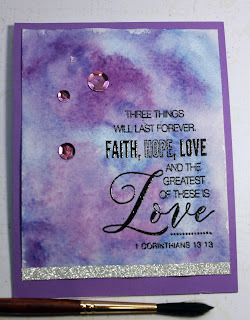 I got to be completely honest, I love scripture stamps, seriously I LOVE THEM! (could be because I teach a high school religion class.) Anytime I can use a scripture on a card and pair that watercolor, that makes me happy! Can't you see this as a wedding card? I was playing around with what blue and purple did with my new Qor watercolors, and I love the flow, reminds me of the dawn, where the sky is still dark and you can't quite see the sun coming up! 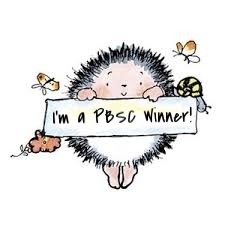 I picked this Sweetheart PB. stamp up at my local scrapbook store Memory Bound and I am so glad I did, I enjoyed making these cards, I hope to send them to my "favorite" people when they need encouragement! 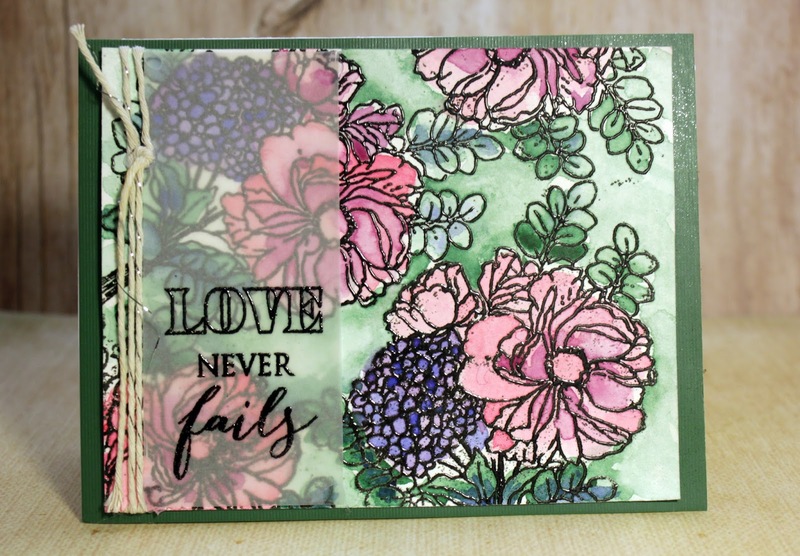 A simple Gold embossing makes this stamped image the star, I did use some Kuretake watercolor for the blooms and wreath (loved the color combo.) 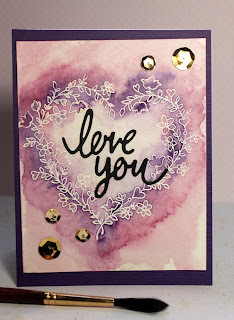 I used a Love you Die cut from Taylored Expressions gold foil card stock (my favorite) Simple and beautiful! I really liked how easy it was for this card to come together! 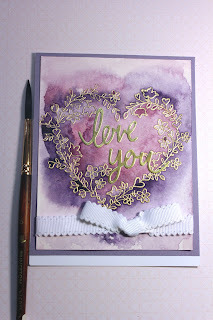 Same Sweet Heart Penny Black Stamp, instead of coloring the wreath for an elegant look I did an expressive style wash and dropped in purple and pink pigment where I thought it needed it. then added the die cuts and the sequence to add some bling to the card! Here is the same way done with gold embossing, I sent this to one of my favorite people to brighten their day! 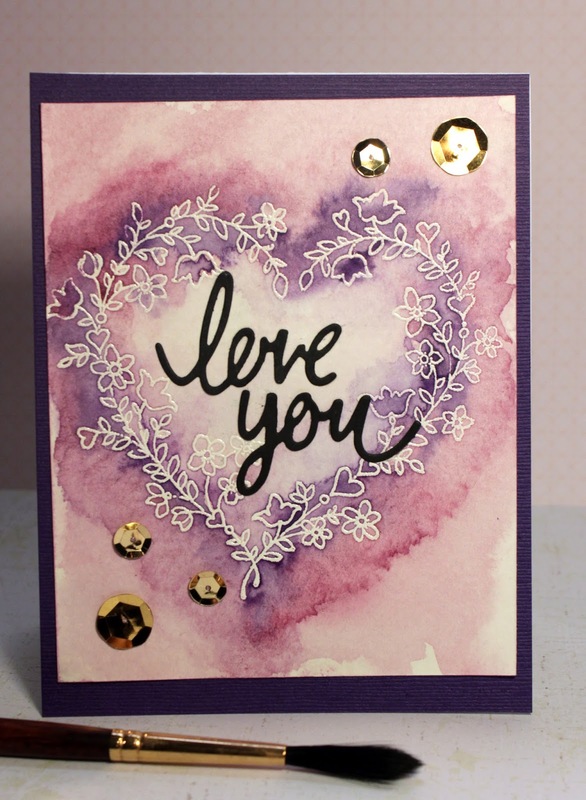 I just love the simplicity of the gold embossing! 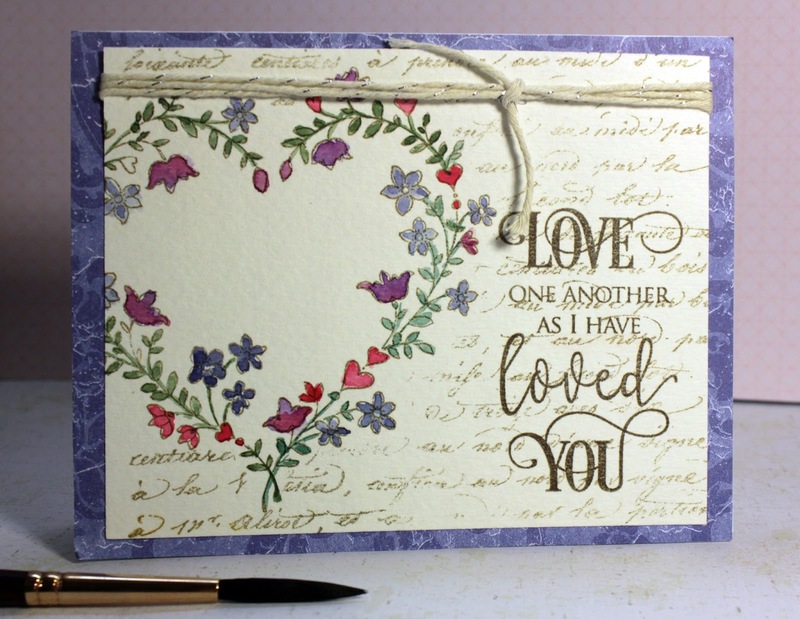 Of course, I had to save the best for last, this was done with the Penny Black Script font as the background, although I masked it so it didn't show inside the wreath, and then I stamped the Love one another from the Love sentiment stamp set from Penny Black. 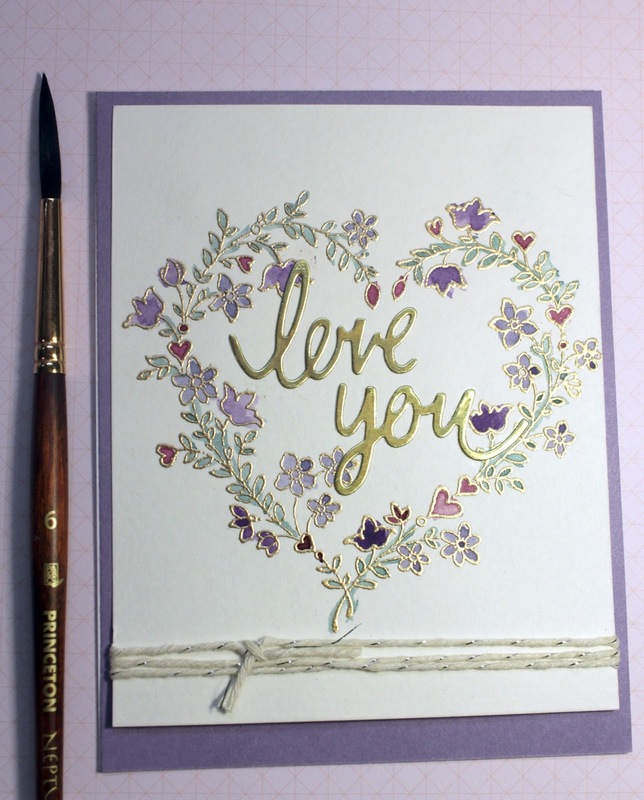 then watercolored the flowers. This to me is the perfect wedding card! Good thing I have a wedding coming up! My tip for when creating cards: Show up with a stamp and start embossing, I had a blank sheets and thought I will emboss these with white and gold embossing and see what comes of it, I am glad that I did, I realized that it's a real time saver when you have 6 panels already embossed so you can watercolor them! Wha Who! Don't you just love playing around in your creative space to see what you can make? I sure do!